ASTRA 8 used largely the same hardware as ASTRA 7, based on an HTC Trophy smartphone running Windows Phone 7. Its goal was to push the technology demonstrated by ASTRA 7 further by exposing the vehicle to stratospheric conditions for longer and at a higher altitude. ASTRA 8 reached a maximum altitude of just over 23,200 meters (76,115 feet) during its 2h 40′ flight. The maximum groundspeed reached by ASTRA 8 was around 45knots (~23m/s) as the balloon-borne flight train was traversing the jet stream. 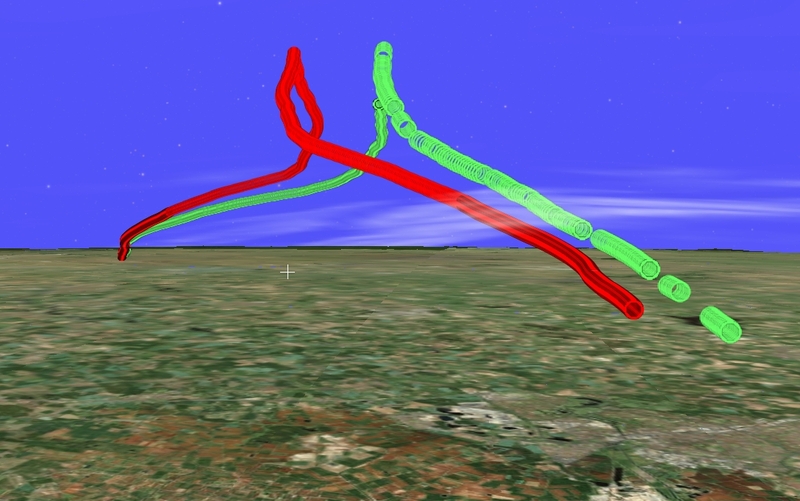 The above image, generated using the Microsoft Research WorldWide Telescope, shows the trajectory of ASTRA 8 as recorded by the phone (green trace) and as predicted by the balloon flight modeling software developed by the ASTRA team.